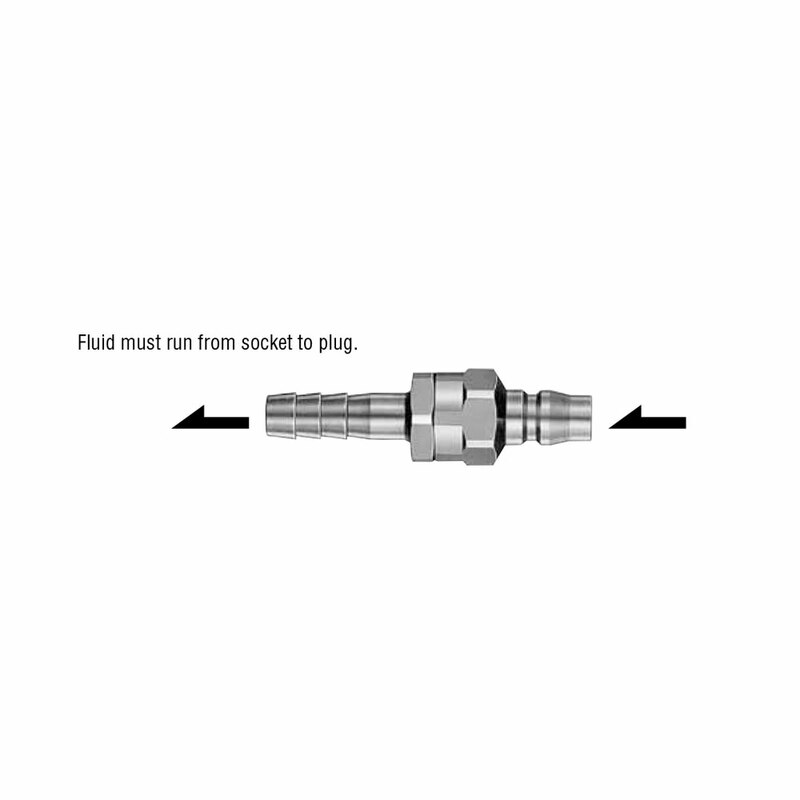 When the Cupla is disconnected, the pressure left in the plug side hose is released gradually without an unpleasant popping noise and a hose whip back motion. Unique design of air purge system enables the residual pressure release quickly and quietly. A unique but simple purge valve design is good for long and repeated use. 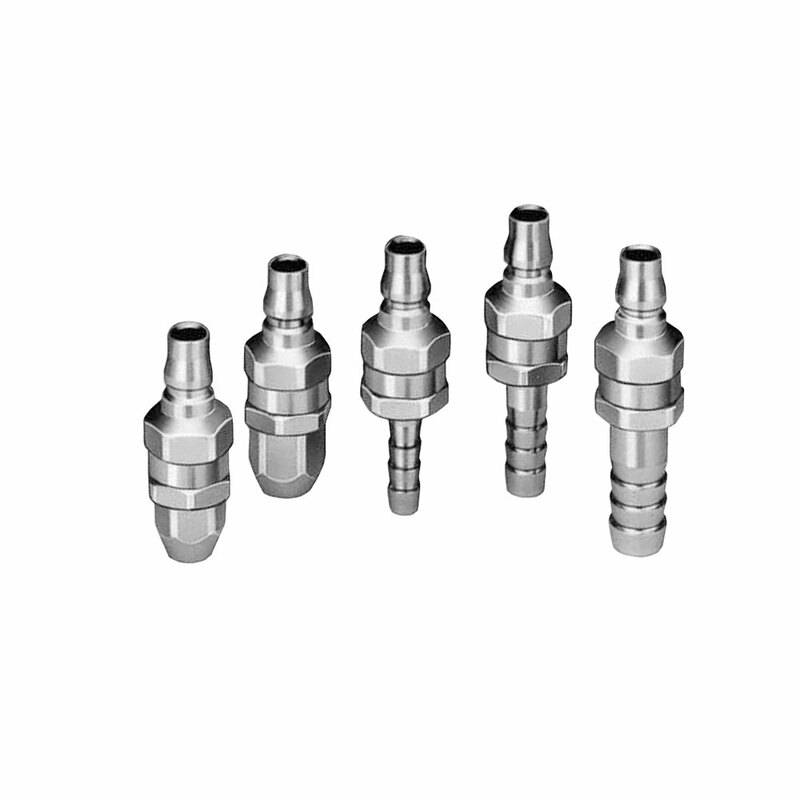 The function is assured even under a high supply pressure or with a long hose. whip back motion when Cupla is disconnected. 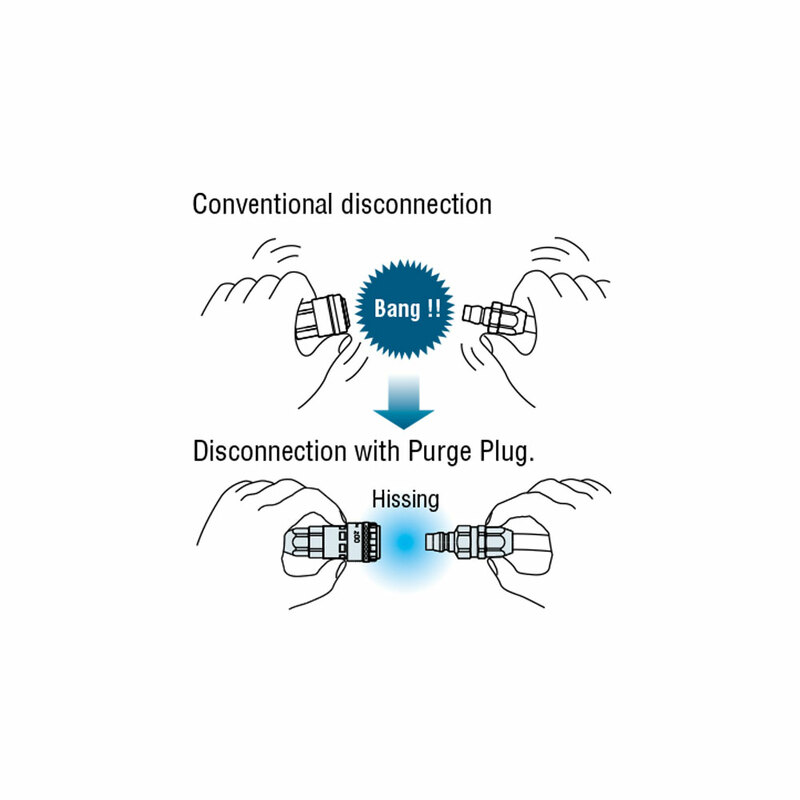 B : Disconnection with Purge Plug. Can be connected with sockets for Hi Cupla Models 10, 17, 20, 30 and 40. 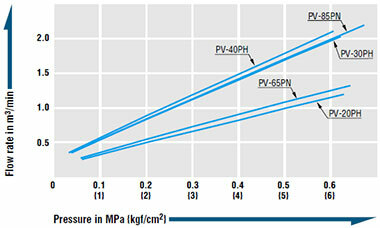 Interchangeable with each corresponding models of Hi Cupla Series and Nut Cupla Series.